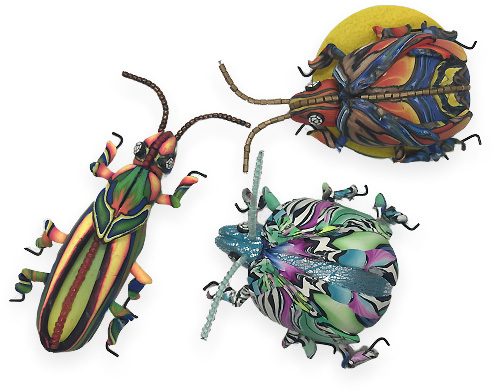 New Mexico’s Gael Keyes makes fantastical bugs and beetles with fancy wire legs dressed in polymer and beaded antennae. They’re composed of scrap clay twisted into a Natasha bead pattern to create the bookend pattern on their backs and wings. Polymer is a family affair with Gael. She’s here at Claython in New Jersey with her mother (Carole Centrella) and sister (Linda O’Brien). Retired from a school principal job, Gael’s online exposure had to be limited. She launched onto Instagram today! Follow her. About these recent rings from Maine’s Melanie West she says.”I’ve been encouraged to go back to rings, but refuse to leave my “one-off” approach to my work. 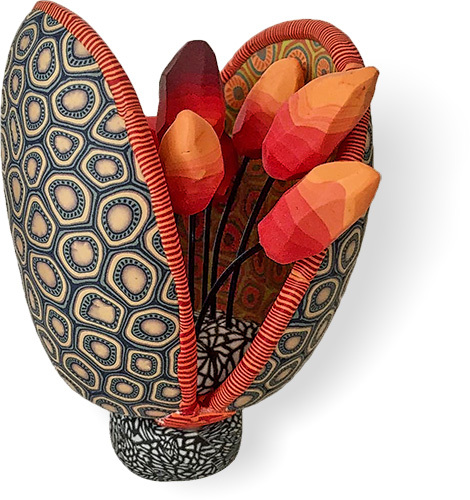 So, it’s various colorways, in set sizes, every single ring full of its own personality.” You can find the rings at Markings Gallery, in Bath, Maine. From Facebook. Do you take a one-off approach? It would be hard to be as disciplined and diligent as Melanie. These are the bomb. Ukraine’s Iryna Chajka (Eteniren) and her succulents provide a calm break from the week’s blast of high energy color. Her shapes are smooth and small. 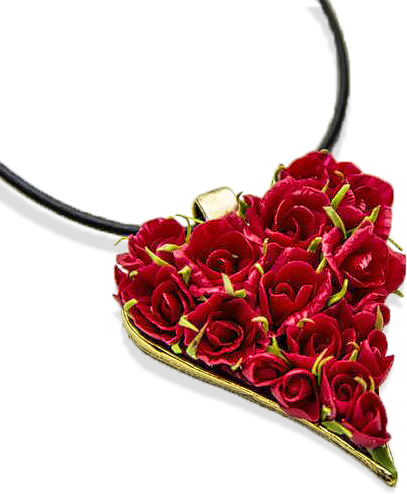 The colors are soft and delicate. She makes succulents look fashionable growing out of ears on Instagram where she has a big following. 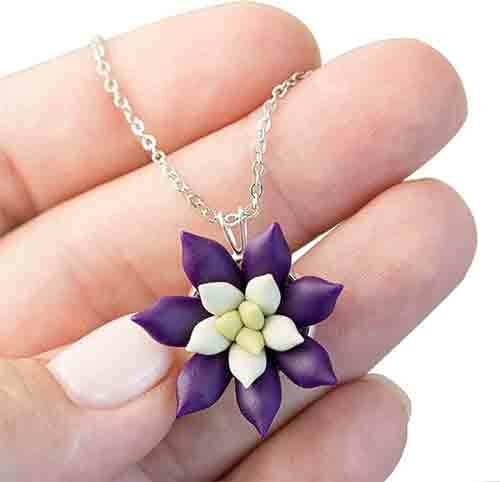 The succulent craze continues and why not try it in polymer? Arieta Stavridou’s polymer-covered teapot moves away from the usual cane-slice covered pot and turns toward sculpture. Her son has dubbed it a Flower Pot. 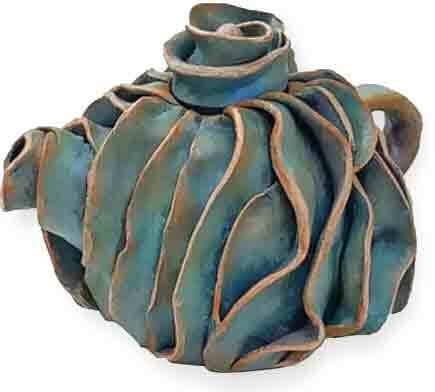 See this pot from all vantage points on Facebook and enjoy her whole stash of teapots on her BigFish page.